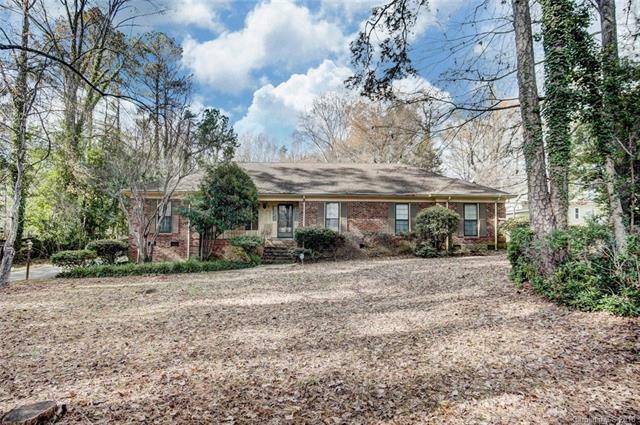 Brick Ranch tucked away on a Private Wooded 1.2 acre lot in Grove Park. Spacious 4 bedroom Home with Large Family Room, Living Room, Dining Room and Eat-In Kitchen. Established Neighborhood with No HOA. Convenient East Charlotte Location only 15 minutes to Uptown. Property is Being Sold "AS IS" due to age with no known issues. So Many Possibilities with this Home. This one is a MUST SEE!! !